Another very busy round of auctions went by. Our Fabulous Fifty continue to consolidate in value after their Summer 2018 rush. A North Port bottling is the top value gainer of the month. Here is our Price Update for December 2018! December 2018 is the fourth consecutive month in which we observed more than 10.000 bottles of whisky being auctioned. Due to these new observations 5.300 whiskies in our database experienced a price change. With 200 trades, the Scotch Malt Whisky Society (SMWS) made it among the top trading independent bottlers of this month. Our bottler indices show that the most traded SMWS bottlings gained 15% in value since May 2018. 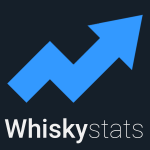 Also our major market index, the Whiskystats Whisky Index (WWI), recovered from its November 2018 dip. In December 2018 the historically 500 most traded whiskies gained 2% in value. This helped the WWI to climb above 200 index points again. A look at our monthly updated distillery ranking unveils that our Macallan index continues to lose ground. In December 2018 the 100 historically most traded Macallan bottlings lost 3,5% in value. This caused Macallan to drop to position four in our ranking, now behind Karuizawa, Rosebank and Hanyu. The Fabulous Fifty (Fab50) are a hand selected collection of fifty iconic whiskies. As representatives of very rare and collectable whiskies we track the value of these collection in our Fab50 index. From May to August 2018 we observed a dramatic increase in value which brought the total worth of this 50 bottles of whisky to around 125.000 Euros. However, since August 2018 this total worth of our Fab50 dropped to around 114.000 Euros. So which of the fifty whiskies caused this increase and drop? On our Fab50 index site you find a listing of all the included whiskies. Here we picked out two bottles which perfectly represent the movement of the above displayed Fab50 index. First off is the Karuizawa (1984) Cask 3663 release. In late 2017 and early 2018 this japanese single malt was traded for around 3.000 Euros or less. Then, in August 2018, a bidder at ScotchWhiskyAuctions.com (SWA) was willing to pay almost 4.000 Euros. Now, again at SWA, the price dropped back to around 3.000 Euros. So this precious Karuizawa bottling was one of the main drivers of our Fab50 index. But the above mentioned Karuizawa was not the only bottle that experienced such a price development. Take the Macallan Royal Marriage 1981 release. In the first half of 2018 this whisky was regularly traded for less than 4.000 Euros. The prices quickly increased to 5.000 Euros and above. The peak was reached in August 2018 when we observed a trade for 5.400 Euros. Now, in December 2018, the price tag dropped to 5.000 Euros. So this Macallan bottling also perfectly resembles the overall movements of our Fab50 index. Finally we want to point out some outstanding trades of this latest round of whisky auctions. On top of the value gainers of the month is the North Port 19yo (1979) Rare Malts Selection. It was only back in March 2018 when you could buy one of these bottles for around 750 Euros. In December 2018, a bidder at WhiskyAuctioneer.com (WAE) was willing to pay 3.300 Euros for this whisky. This equals an almost 350% increase in value within less than a year. Another interesting value gainer is the Linkwood 5yo (1971) release. Until January 2017 this Speyside single malt was traded for around 100 Euros. The latest price observations saw 600 Euros being paid for this whisky. The list of the most traded whiskies of December 2018 is dominated by Macallan. With 104 bottles traded the Macallan Aera release is the single most traded whisky of the month. On the places follow the Macallan Classic Cut 2018 Release (90 trades), the Macallan Edition No.4 (57) and the Macallan Edition No.3 (54). Note that when we determine the “most traded” bottlings to calculate our indices, it is not the raw number of trades but the number of different auctions the whiskies appear in that we take into account. So the decrease in our Macallan distillery index is not caused by these recent, heavily traded but relatively cheap releases! As always, do not forget to recheck on the latest price movements of your personal whisky collections! This topic contains 0 replies, has 1 voice, and was last updated by Whiskystats 3 months ago.